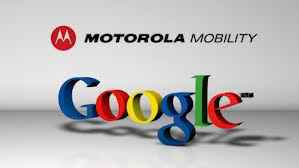 Google is set to announce their brand new Motorola x phone on August 1st. The event will be held in New York,and the invitations have already been set out to the media so that they can cover their products. We do not know the current name of this phone, but we know that it will come in Black and White, and possibly other colors. The project has been under lock and key for quiet some time. What Operating System Will It Run? The phone will be running Android 4.3 from current reports. This operating system will be announced the day after the big New York event. We don’t have any details about what to expect from this operating system, but this is probably going to have an earthquake effect because of the secrecy that Google has placed on the projects. What Colors Can We Expect? We are expecting the basic colors on most Motorola phones which is Black and White. They might add more after launch but these look like the only ones ready for launch as of now. We might be able to expect other iterations of the phone by other companies much like what Google did with the Galaxy S4. We are expecting the phone to be more rounded on the edges Motorola is trying to adapt to the ever changing market, and the issue that they always had was that their phones were clunky and annoying to hold. We are expecting them to get rid of that double layer design that they had on their earlier Droid models and to adapt something more like the Galaxy S3/S4. This is the most popular design, and it is the most comfortable for the user so this would be an intelligent move for them. There is very little information about this product because it was under the mysterious Google “X” labs which is the most private and secure projects of the company. We are gong to be gradually gathering information but as it stands for a release date we are expecting it to be somewhere around October or September to beat out the competition.